Have you ever enjoyed a fine whisky? Sometimes its fiery, sometimes sweet, but always strong, complex and with a great flavor. We believe that good flamenco should be the same—no gimmicks, no trendy fusions, just straight sabor, music and dance that hits hard, then lingers in your mind, ears, and eyes for hours afterward. 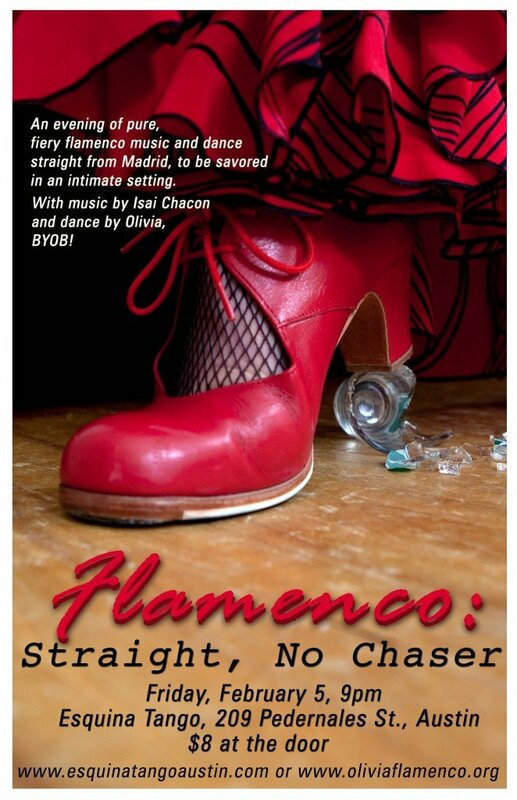 Join guitarist/singer Isaí Chacón, direct from Madrid, and dancer Olivia Chacón for an intimate evening of Flamenco–Straight, No Chaser (BYOB! ).